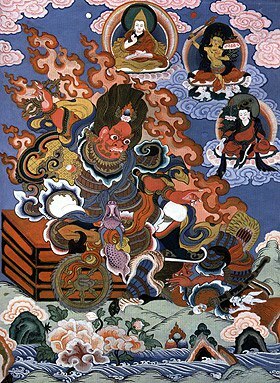 The Epic of King Geseris a unique memorial of Buryat spiritual culture. Not only Buryats, but many other peoples in Central Asia consider this epos their own (it is also called Central Asian Iliad). 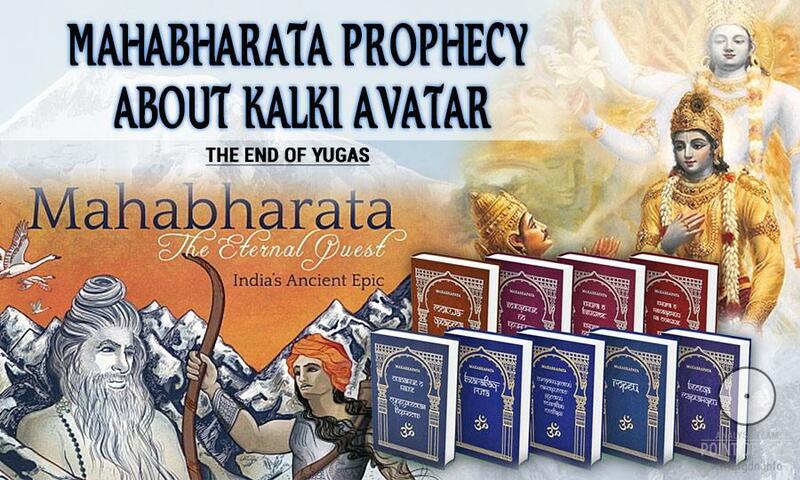 It is spread among Tibetans, Mongols, Tuvas, Altaians, Kalmyks, North Tibetan Uigurs, etc. The Geser Epic has become a symbol of Central Asian community of different cultures and traditions. The legend about Geser has been preserved in living people’s memory until nowadays, though in different plot versions: some peoples have it in prose, while others have verses; there are diverse literary techniques and characteristics, but the image of the Son of Heaven, God Geser is quite the same everywhere. 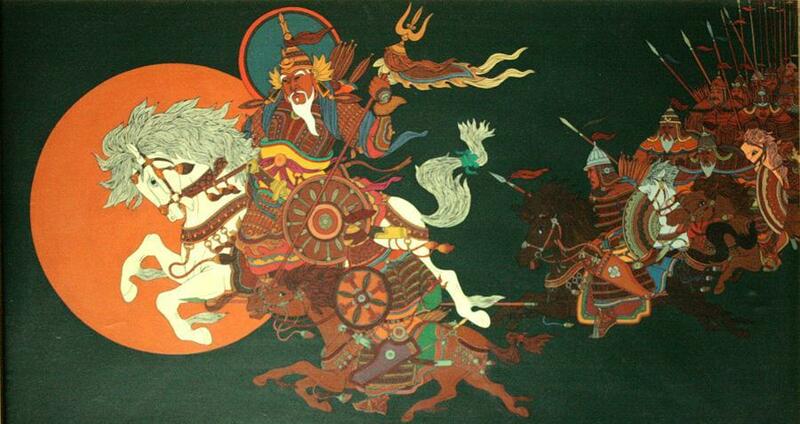 There are three major versions of the Epic: Buryat, Mongolian, and Tibetan. First records of the legend appeared in Tibet, and in 10-12th centuries various verbal version of the legend were combined. The boldest version suggested by historians is that the Geser Epic is about 1,200 years old, being older than all other eposes in the former USSR territory. Geser is the eldest son of Supreme God Tengri (his other names are Qormusta Tengri or Ohrmuzd), or the Boundless Eternal Sky as he’s otherwise called. 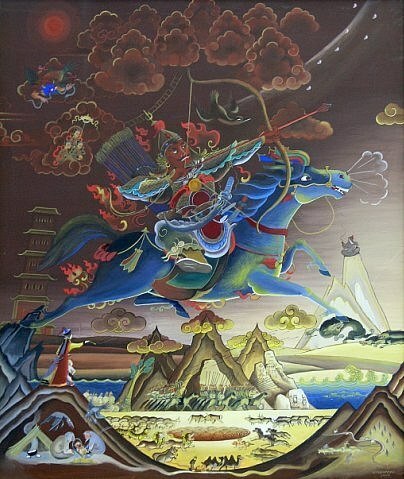 Geser (whom Buryats gave the second heavenly name of Burkhan Bator, meaning the Heavenly Warrior) is sent to this world, when humanity reaches a deadlock and follows a wrong development path, when it’s necessary to put things in order in this world. He is also referred to as the heavenly being, who descended to the Earth, having turned into a human, in order to perform a feat of good. 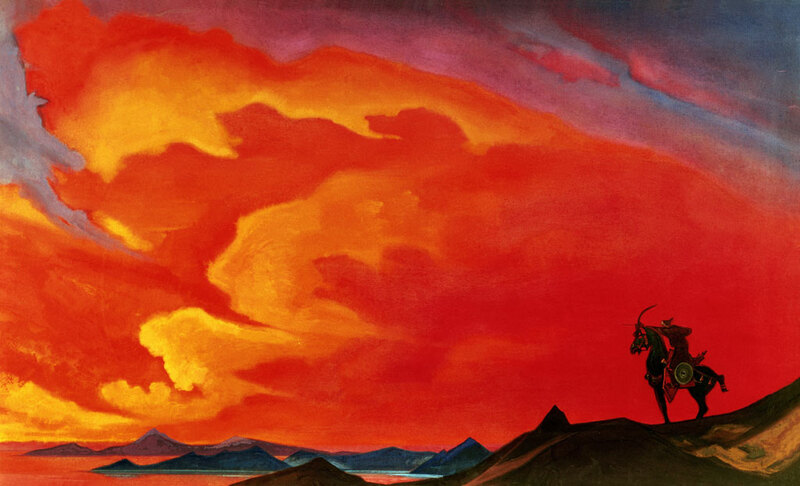 By the way, according to the Epic, Tengri has three sons who are named Uch Kurbustan (“the Triune Deity”) in Altai; all three represent a single whole and reside in the highest heavenly realm. Let’s digress from the subject for a while. 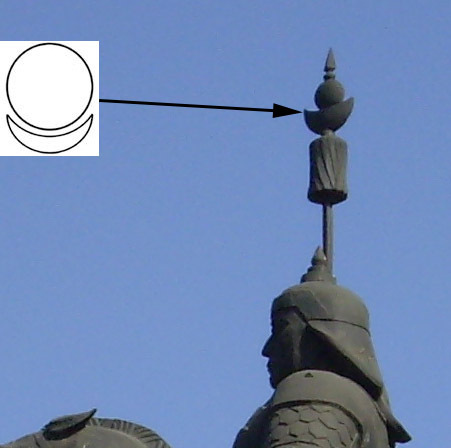 There is a very interesting detail in the above image: a sign with a circle and a crescent, particularly placed on the monument top. It turns out this sign is very honoured by Altaians, Buryats, Mongols, Kazakhs, and Tibetans. We’ve found numerous selections of images with such sign on the web, which surely deserve an individual analytical article. Most importantly, this very mysterious ancient sign having multi-thousand-year history and called the AllatRa sign marks and is associated with the Primordial Knowledge brought by Rigden Djappo. 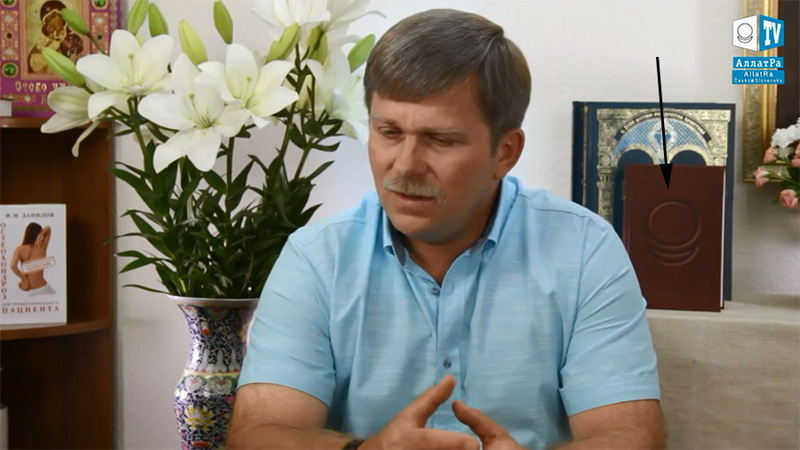 A book with the same name was released in 2013, mentioned and present in all three interviews with Igor Danilov (see image below). 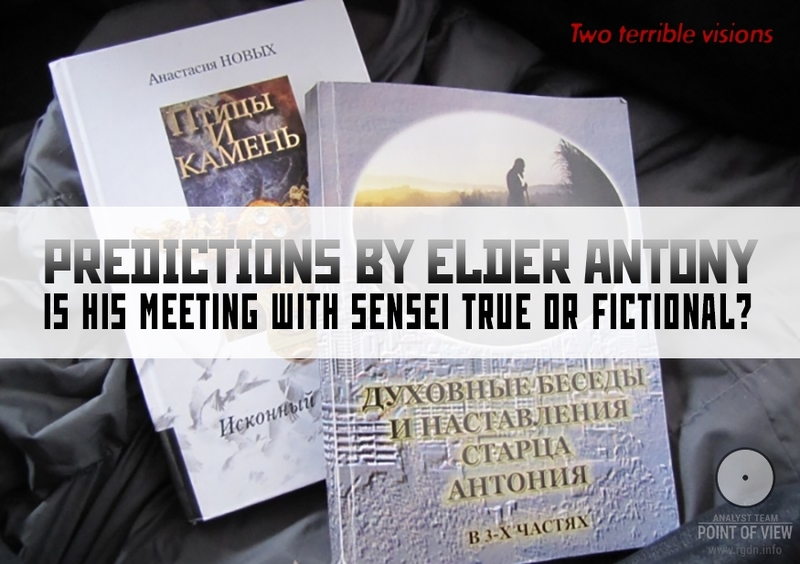 We will certainly prepare a separate material on the book. Let's go on. 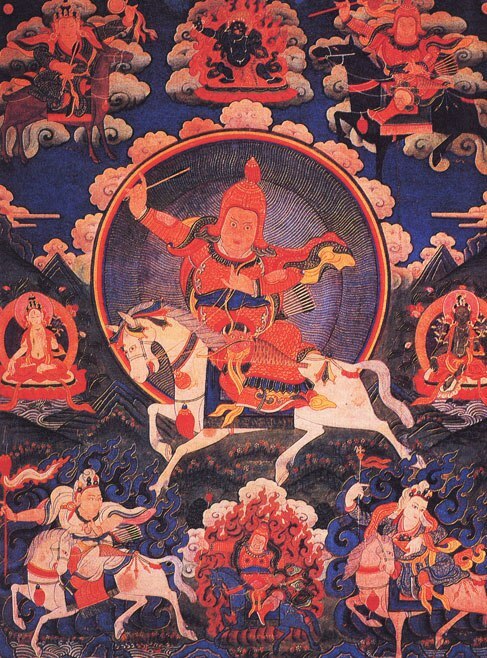 Mongols and Tibetans call Geser (or Abai Geser, Geser Khan) the Son of Heaven, the heavenly Messenger, the Chosen King (akin to Messiah), who was born on the earth and is purifying it of monstrous demons. 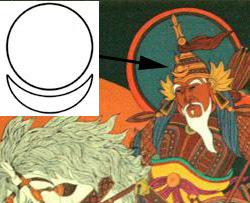 He is also associated with the first human who descended from heavens or hatched out of the heavenly “cosmic egg”. 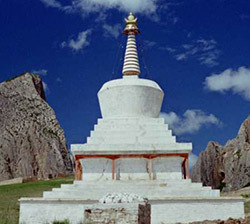 According to another Tibetan legend of Geser, one of the heavenly sovereign’s sons was sent to the Kingdom of Ling where there was no ruler (king). He was born in Ling in the family of one of princes, and he was an ugly, “snivelling child” (under a Buryat legend version, he’s born as a nuhatai nurgatai hubuun (nuhatai means “snivelling”, while nurgatai means spinal, signifying “the ancient Aryan Nirun Warriors” who started to be called “spinal Mongols” in the times of Genghis Khan; Sakha Yakuts pronounce the word nirun as nurgun, which is translated as “a warrior spearing a huge, thick block of ice”, whereas one of main characters of a Yakut heroic epos is named Nurgun Bootur the Impetuous). In addition to the aforesaid, we’d like to give comparative characteristics of extracts from the Bible (canonical text) and the Geser Epic, which characteristics we have found on the internet. Characteristics were collected by people who searched for common features in these two sources, although the purpose of our research is to maintain not separation, but unity (i.e. 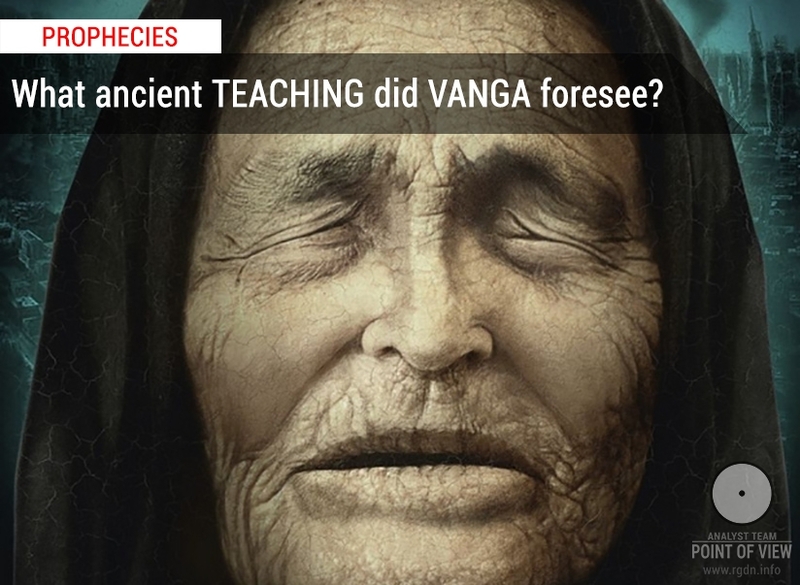 identify most ancient and meaningful sources of all available). Forces of evil rose against God. Forces of good oppose forces of evil. War in heavens. Devil and his army are defeated and thrown down to the earth (Revelation 12: 7-13). Devil is called (Corinthians 4:4) “the god of this age”, i.e. temporary. It is torn to pieces and thrown down from heaven to the earth. Trouble on the earth (Revelation 12:9, 12). Evil committed by creatures looking like monstrous beasts (Revelation 13: 1-18; 19: 19-20). Trouble on the earth. Pieces of an evil deity turned into monsters. They hate humanity. The guileful cruel monsters send pestilence to the earth, killing people. God’s Son Jesus voluntarily decided to save humanity (Philippians 2:5-11). God’s Son Geser voluntarily decided to held mankind and everyone suffering from evil. God’s Son Jesus was a dweller of heavens and descended from heavens (John 3:13; 6:38). He has a heavenly name (Hebrews 1: 3-13; Philippians 2: 9-11) and heavenly glory, endowed to Him by God’s Love before the world emerged (John 17: 24; 2:11). God’s Son Geser was a dweller of heavens and descended from heavens. (Part One regarding Bukhe Beligte descent from heavens to the earth). 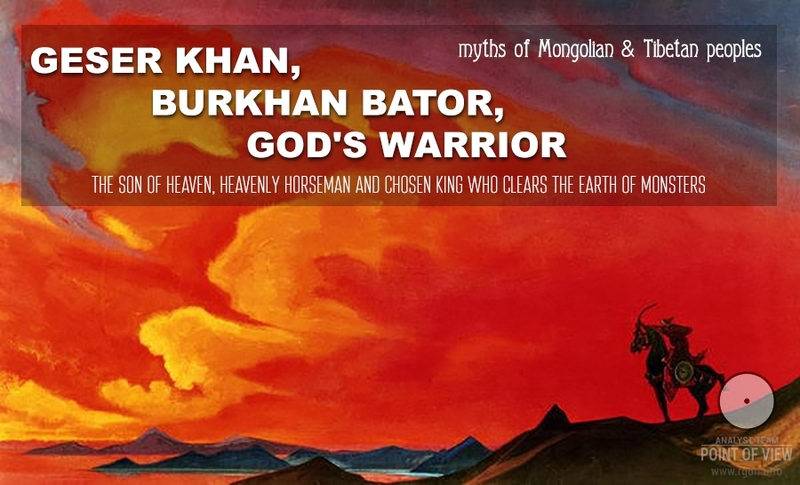 He has a heavenly name (the Name is understood as either a heavenly name, or Burkhan Bator, or God’s Warrior). God’s Son Jesus got incarnated, was born as a human being (Romans 9:5; John 1:14; 1 John 4:2; 1 Timothy 2:5; Philippians 2:7-8). He knew people’s sorrows and aspirations (Isaiah 53:3; Hebrews 4: 15). God’s Son Geser decided to get born on the earth as a human. (Part Two of the Epic. The second birth). Idolatry originates from devil. Demons are behind idols (Revelation 9: 20-21; 1 Corinthians 10: 19-22). Idolatry originates from evil. Demons and evil spirits stand behind idols. God’s Son Jesus is accompanied by a numerous armed force of God’s warriors (Revelation 19: 11-14; Mark 13: 26-27). Geser gathers a numerous army to fight evil. Jesus is the King of Kings, Great Prince, God’s Horseman and Warrior (Revelation 17: 14; 19: 11-16; Isaiah 9:6). Geser can mean Caesar, King, Prince, or Warrior. The following is said about the happy time. This is how the Surah begins, and its meaning is so deep. It’s quite notable that the meaning of the word Kausar has always provoked disputes among Koran translators. It is assumed not just the name itself war pronounced in different ways (Keser, Kausar), but also was interpreted as “abundance”, “prosperity”. Yet, there is still another opinion, which does not seem unrealistic in such case: Al Kausar might be an Arabic pronunciation of the name Geser, who’s no one other than Messiah Geser, the “World’s Teacher of Monotheism”, i.e. 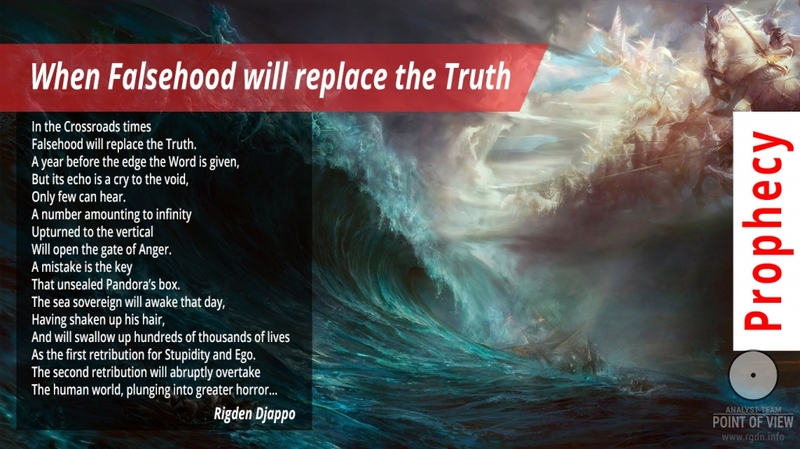 Rigden Djappo who brings the Primordial Knowledge to the world. What if everything is simple: the Truth is single, and we all, people, talk about same things, though in different languages?